An instructional workbook designed for students just learning the game of chess and for beginning students returning to the game after an absence. Parents unfamiliar with chess will find this booklet a valuable guide to their child's new interest. 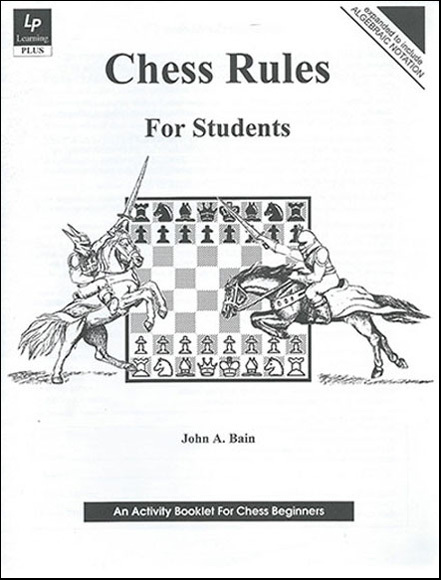 Chess Rules For Students is desingned with students, coaches, and parents in mind.